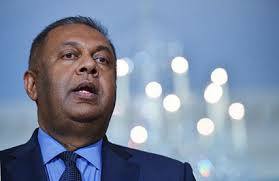 Foreign Minister Managala Samaraweera asserted in Parliament yesterday that Sri Lanka has no intention of quitting the South Asian Association for Regional Cooperation (SAARC) and would not be boycotting the summit this year. Minister Samaraweera said, Sri Lanka was of the opinion that the prevailing environment was not conducive to hold the summit. He added that he had conveyed this to the SAARC Secretary General at the body's headquarters in Kathmandu, Nepal. "Sri Lanka will participate in the SAARC Summit whenever it is held. "We informed the Secretary General of SAARC in Nepal through in writing that the SAARC Summit cannot be held at a time when one Member State decides not to participate in it. The stand of the Sri Lankan Government is that regional cooperation is essential to create better living conditions for its people," the minister said. He also quoted late President J.R. Jayewardene who had said that 'mutual understanding of Member States is essential for realizing the goals of SAARC'. Samaraweera also called on all Member States to cooperate in combating and eradicating terrorism.